The Nebraska Golf Association is proud to announce the transition of its FORE! junior access program into Youth on Course. Though the FORE! brand will go away, the principles and benefits of junior access will remain with the new program. Youth on Course is a similar junior access program that began in Northern California and has spread to nearly 30 regions in the United States over the past few years. The new program will bring improvements for both junior golfers and our participating facilities. Youth on Course members in Nebraska will now be able to play year-round for $5 or less, and can also take their cards to any YOC region. Find out more about YOC below. The core purpose of Youth on Course is to provide youth with access to life-changing opportunities through golf. Youth ages 6-18 become a member of the NGA by registering online for just $10. They get a membership number and can begin establishing a handicap. Youth who participate in Youth on Course are all “course ready”. Within a few weeks, they receive a Youth on Course member card in the mail. The Youth on Course card gives members access to all courses participating in the United States, including more than 30 facilities in Nebraska. As a member, they play for $5 or less at participating courses during designated times. There is no limit to how often members can play using their Youth on Course card. Youth on Course is based on the following formula. The NGA negotiates a preferred junior golf rate with the participating facility. YOC members have access to participating facilities where they can play for $5 or less. The Nebraska Golf Foundation subsidizes the difference between the preferred rate and the YOC member payment. 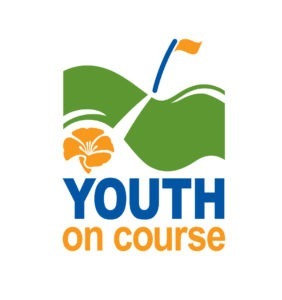 Youth on Course is available year-round. Becoming a Youth on Course member is easy and affordable, and memberships are good for a calendar year. In order to join, you must be at least 6 years old. Membership expires on your 19th birthday. After signing up, you’ll complete a brief curriculum which gets you a membership card. From there, you can hit the links! The membership application for the 2019 season is now open, visit the button below to join/renew. 2019 Memberships are now Open. Click the button below, then enter your GHIN Number. If you don't know it, click "I Don't Know" and search your name. The following is a list of courses that have committed as YOC host facilities. Phone numbers are available for each course, and website links may be accessed by clicking on the golf course name. YOC Members MUST call ahead and make a tee time AND identify themselves as a YOC member to receive the $5 rate. Specific restrictions on when YOC rounds can be played are listed next to each facility. Note: unless listed, there are no restrictions. M-F anytime; Sat., Sun. after 2 p.m.
M-Th anytime; Fri-Sun and Holidays after 2 p.m.
M-F anytime; Sat., Sun. and Holidays after 2 p.m.
M-Th after 12 p.m.; Sat., Sun. and Holidays after 2 p.m.
M-Th before 3 p.m.; Fri. before 10 a.m.; Sat-Sun after 4 p.m.
M-F anytime; Sat., Sun. after 12 p.m.
M-Th anytime; Fri., Sat., Sun. and Holidays after 2 p.m. The Youth on Course program is supported by the Nebraska Golf Foundation. The NGA negotiates a preferred junior golf rate with participating facilities. The YOC member pays a $5 (or less) fee for a round of golf (for 9 or 18 hole rounds). The NGF then subsidizes the difference between the preferred rate and the YOC member payment. Below is a list of other affordable ways for juniors to get out on the course and play golf around the state. This is not a complete list of junior rates in the state, but if you would like to include your course's junior rates below, please contact Ben Vigil at bvigil@nebgolf.org. To cultivate the next generation of golfers, in 2014 the Omaha Parks and Recreation Department created the Junior Golf Club of Omaha. This program allows kids aged 8 to 14 to play FREE GOLF Monday through Friday and on weekends when accompanied by a paying adult at all city operated 9-hole golf courses (Spring Lake GC, Steve Hogan GC, Warren Swigart GC and Westwood GC). To receive a Junior Golf Club Players Card you must attend one of the Certification Clinics. Kids under the age of 18 years and/or still in high school and live within a 20 mile radius play for only $2. Check in at clubhouse required and does not include cart. KIDS 15 AND UNDER PLAY FOR $3.00 (9 or 18) WHEN ACCOMPANIED BY A PAYING ADULT. RIDE FOR FREE! As in the past, to drive a cart, you must be at least 16 years old. Promotion is available at all times when open play is available. Pace of play will be closely monitored to ensure 9 hole rounds are played in 2 hours. Rates for juniors (11 & under) are just $12.35 for 18 holes walking, or $7.85 for 9 holes. Full membership for juniors (18 & under) is just $100 for the year. Rates for juniors (15 & under) are just $15 for 18 holes walking, or $10 for 9 holes. A Student membership for juniors (18 & under) is just $100 for the year. Rates for juniors (17& under) are just $21 for 18 holes walking, or $16 for 9 holes. Rates for juniors are just $15 for 18 holes walking, or $10 for 9 holes, during weekdays only.